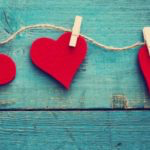 This fun event, for both kids and adults, is an opportunity to gather with your friends and neighbors to make some creative Valentine cards and crafts for the special people in your life! All supplies are provided, no experience necessary. RSVP is required, limited to 30 participants. Please call Beth Shaw at home: 973-586-1564 or cell: 973-714-7344 to reserve your space. Fee is only $1 to cover supplies.